Armored vehicles are used for transportation under armed security or by replacing usual windows with bulletproof windows. These vehicles are majorly used by military, law enforcement, corporate people, VIPs and celebrities. With the rise in terrorism and growing number of wars and cross-border disputes, the market for global armored vehicles is getting pace. Armored vehicles are largely used for enhancing defense proficiencies and conserving homeland security. Homeland security precludes terrorist attacks and decreases the vulnerability of terrorism within the country. Inclusion of advanced raw material to build armored vehicles leads to spur the demand for high performance armored vehicles. Goldstein Research analyst forecast that the global armored vehicles market size is anticipated to reach USD 40.8billion by 2024, growing at a CAGR of6.0% over the forecast period i.e. 2016-2024. With the increasing security challenges facing by the government bodies and rise in civil wars further boost the demand for armored vehicles in developed economies. The report covers the present ground scenario and the future growth prospects of the armored vehicles market for 2016-2024 along with the new product launches, collaborations, and acquisitions by the market players. We calculated the market size and revenue share on the basis of revenue generated from major players across the globe. On the basis of application,defense sectoris having the highest market share of 41.8%due to increasing number of border disputes and rising terrorism. Whereas, on the other hand the market share of commercial sectoris growing steadily at a market share of 28.90% owing to increasing demand from the government, embassies, VIPs, and banks to procure more innovative and consistent armored vehicles for protection. Global Armored Vehicles Market Outlook 2016-2024, has been prepared based on an in-depth market analysis from industry experts. The report covers the competitive landscape and current position of major players in the global armored vehicles market. The report also includes porter’s five force model, SWOT analysis, company profiling, business strategies of market players and their business models. 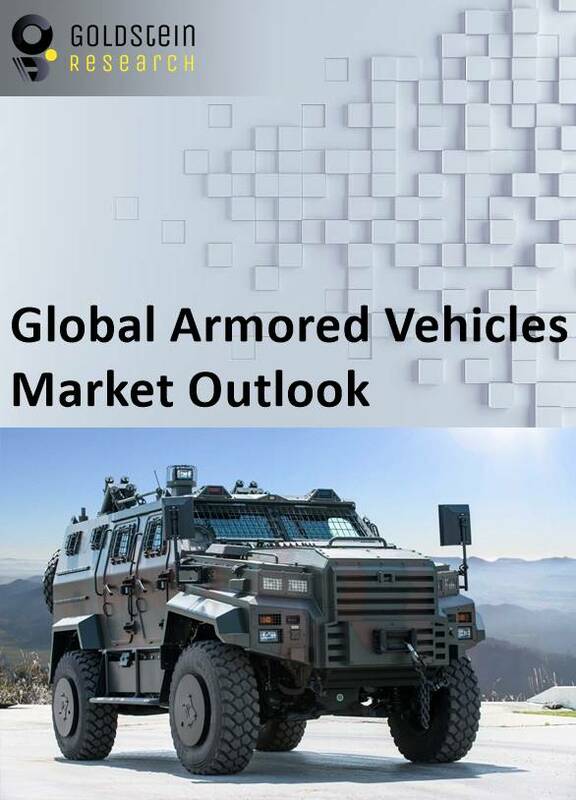 Global armored vehiclesmarket report also recognizes value chain analysis to understand the cost differentiation to provide competitive advantage to the existing and new entry players. Our Global Armored Vehicles Market comprises of the following companies as the key players: International Armored Group, Lockheed Martin, Thales Group, General Dynamics Corporation, BAE Systems and Denel Land Systems. Other high-flying vendors in the market are: Oshkosh Defense, Rheinmetall Landsysteme GmbH, Elbit Systems Ltd. and INKAS Armored Vehicle Manufacturing. According to the report, major driving factorfor armored vehiclesmarketistheincreasing manifestations of armed violence and terrorist attacks. More than 76.0% of the terrorist attacks took place in 2015 in which seven out of 10 deadliest terror attacks involved kidnapping and hostage-taking. With the huge investment and R&D activities going on for the updated technology are driving the global armored vehicles market. Further, the report states the major challenge is the stringent government regulation to manufacture armored vehicles. In order to meet the quality standards according to law enforcement department, major players are investing huge amount for the research and development activities. The high initial investment is one of the major challenges for the new entry players. Moreover, one of the biggest challenges for the players is lack of unskilled man power for the maintenance of high end armored vehicles. This factor is creating reluctance among the end-use industries to adopt advanced armored vehicles. Based on geography, Europe dominated the global armored vehicles market with a market share of more than 38.02% in 2016 and it is expected to maintain its dominance over the forecast period as the federal authorities are continuously spending on defense sector to increase the fleet of land force vehicles. In United States, there are 41, 062 armored vehicles in 2016 followed by 31,298 armored vehicles of Russia. Moreover, Egypt has the third largest place in armored vehicles market with 13,949 numbers of armored vehicles in 2016. Europe has more than 70,000 armored vehicles collectively including all major countries which are the major reason behind the dominance in the global market space. What is the revenueof Armored Vehiclesin 2015-16 and what would be the expected demand over the forecast period?